Living in Asia for as long as I have, I’ve gotten used to the stares that tend to follow the out-of-place foreigner. But every once in a while the context that they come with throws me off. 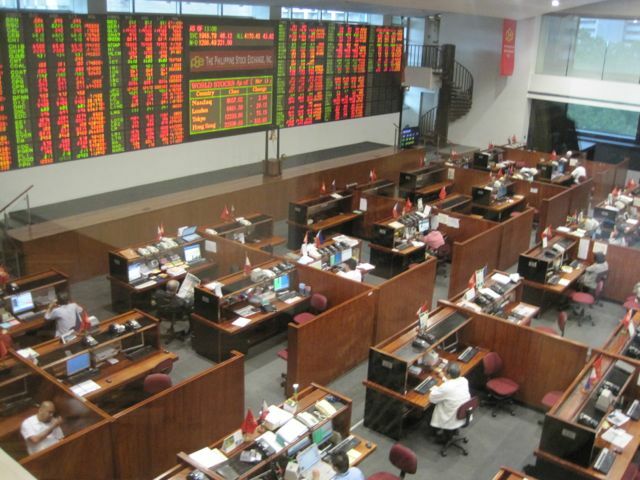 Last week I got to go on a small tour of the Philippine Stock Exchange (PSE), the second-fastest growing bourse in Asia by market capitalization in 2012 and third globally, including the executive lounge that flanks the main trading floor (pictured left). The PSE-branded tablecloths, the crisply fitted waiters, the well-heeled businessmen: They all melded into the backdrop. But me, the young-faced foreigner observing the room with new eyes? He didn’t seem to go along with the picture as well. Two fully seated round tables mostly occupied by men in tailor-made barong, the traditional attire of the Philippines, which is made out of pure pineapple leaf fiber if the buck is right, detached their sights from the immediate audience to spot me strolling in along with my guide, an equity analyst at the PSE. Admittedly so, their curiosity most likely stemmed from the fact that I was young looking and new rather than me being foreign. From these comfortable seats, many CEOs and top executives of listed companies make casual or business visits to the executive lounge, perhaps hoping to impress future partners. I was not one of them. Not on that day anyways. In the six weeks since I moved to the Philippines, I’ve been able to walk down a few corridors filled with influential people of the country. By and large, they have been extremely receptive and utterly accessible compared to every other market I’ve worked and lived in the past (and that is including five other Asian nations). The Philippines was overlooked for so long and derided as the “sick man of Asia” that, in the midst of boom times that spurred the economy forward 6.6 per cent in 2012, it now feels like an all-access pass is available for anyone ambitious enough to grab it. And when you do, many of those who have been through the decades of neglect that lead up to this moment appear to be surprised that you did, maybe a sign of oddly made early-bird affection. But how early am I? At this moment on the PSE, the market may be turning to a long-awaited correction mode, a predicted contraction of about five to 10 per cent. If the Philippines really is at the turning point of some greater developmental path, now would be the time to jump in. This is something I’ve pondered. Last Tuesday, March 12, Philippine President Benigno Aquino III was quick to point out the loving new praise the international community has showered on the country. The IMF, World Bank and Bloomberg all agree that something is up — and may stay up. Standing in the way of the Philippines’ path forward is infrastructure, a fact that anyone who has been through the poorly planned airports of the country can clearly see. Below is an post from Investvine that sums up what the government is prioritizing now, first reported on March 12 when I attended the Euromoney Philippine Investment Forum. Philippine President Benigno Aquino III has outlined a three-pronged developmental approach to sustain the blindingly high economic momentum the country has achieved through heavy investment in infrastructure, it was announced at the Euromoney Philippines Investment Forum at the Peninsula Hotel in Makati, Manila on March 12. “There are three sectors that remain priorities: agriculture, tourism and [transport] infrastructure,” President Aquino said, adding that infrastructure projects in these areas will receive a larger spotlight from the government. Beyond infrastructure projects that will strengthen irrigation systems and deploy roads for easier access to tourism destinations, the Philippines, through the country’s PPP programme, has listed a number of projects that are worth at least $7.4 billion. “The prioritisation of infrastructure has increased dramatically since [Aquino] took office,” Secretary of Finance Cesar Purisima said at the forum. “Good feasibility studies to balance risk between the public and private sectors have been conducted. In 2012, [the Aquino administration] built a pipeline of over 13 projects, a portfolio that is steadily increasing,” he added. Prioritised projects in the Philippine PPP programme slated for roll-out in 2012-2013 in transport – rail, airports, ports and roads – are valued at $2.9 billion, while other infrastructure contracts reach nearly $2 billion. The tourism industry has been allocated a segregated budget for 2013 worth $295 million amassed strictly for road infrastructure. “You only have to visit Boracay, the islands of Palawan or the walled city of Intramuros to understand the attractiveness of our country,” Aquino gushed. Agriculture, which employs 12.5 million of the over 40 million workforce, will continue to play a significant role in the economy, with plans to begin exporting at least 100 metric tonnes of rice before April 2013. 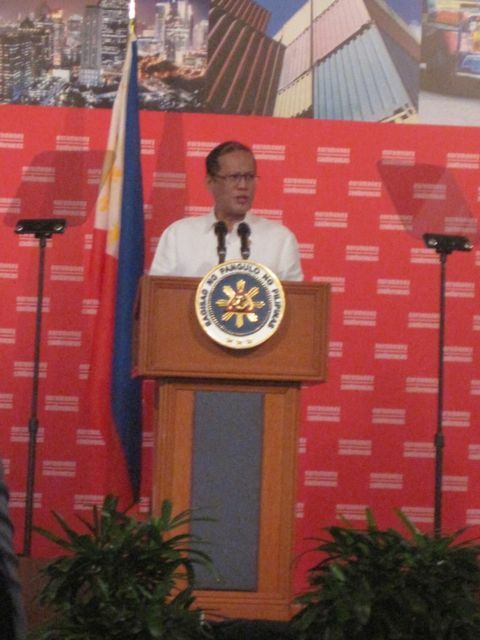 “This is why our agricultural budget has increased 61 per cent in 2013,” Aquino continued. However, the sector has yet to capitalise on the self-sufficiency of Filipino farmers. A dominant contributor to the domestic consumption-led economy, Aquino also alluded to the country’s vibrant BPO industry as an enabler of inclusive growth. Foreign investment, a key enabler of innovation and competition, still lags in the Philippines. Although rating firms S&P, Moody’s and Fitch all put the Philippines just one notch below investment grade, foreign direct investment inflows into the country remain low. In addition, the Philippines’ debt securities are trading at about four to five notches above investment grade, producing low yields that have made the vibrant economy a victim of its own success. Is there no salve Sarawak can apply to Sabah’s scars?